Home | EnviroDoctors.ca - Mould Remediation. Asbestos Removal. EnviroDoctors.ca - Mould Remediation. Asbestos Removal. 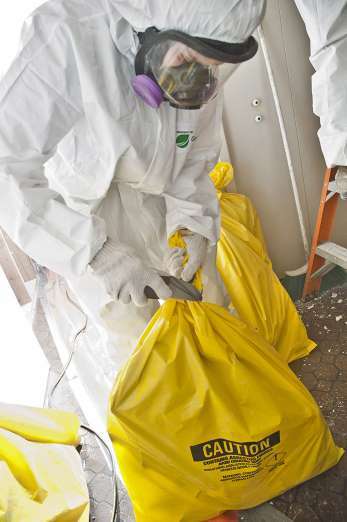 The Enviro Doctors are Mould Remediation and Asbestos Removal Specialists in Winnipeg. Whether it’s a mould problem or an asbestos situation, more often than not, there is insulation to be removed and ultimately replaced. As such, we provide a whole menu of insulation services. We can perform demolition of interior walls, ceilings, attics, floors, kitchens, bathrooms, basements & more. And, similarily, we are qualified to deal with mould or asbestos situations that may emerge, so you don’t have to call in another contractor. Our true sales force is made up of hundreds of home and business owners throughout Manitoba, Saskatchewan and Northwestern Ontario, who have hired our services over the years. It’s best you hear about it … straight from them …. We are a proud Canadian company with 100% Winnipeg, Manitoba roots. Our founder, David Ganetsky, prides himself in that aspect, including the fact that the environmentally-friendly formula we use for mould removal was developed in a Winnipeg laboratory. We offer free air quality testing, including a follow-up test ninety days after completion of the work (we call it "our fresh air guarantee"). For general inquiries, we can be reached by phone at 204-890-4567 or via email at info@EnviroDoctors.ca. Residential, commercial and industrial customers right here in Winnipeg, Manitoba, Saskatchewan and Northwestern Ontario. Homeowners, general contractors, renovation companies, tradespeople, demolition companies, property managers and developers, real estate agents, and environmental consultants. WE ARE A LEADING MOULD AND ASBESTOS REMOVAL COMPANY IN WINNIPEG - AND WE ARE NOW HIRING! David Ganetsky has always been an entrepreneur. While consulting in the mould remediation industry in Winnipeg in 2010, he made some intriguing discoveries..
Back then, it was generally accepted that mould was a common occurrence and no link was being made between that, and people getting sick. More specifically, unable to shake the flu, developing asthma and other respiratory illnesses. Even similar conditions with household pets. Consequently, medical doctors began identifying the fact that patients' symptoms disappeared when they were at work or school, then redeveloped at home. At that time, there were no mould specialists. As such, most companies of the day were using chemicals, and none specialized in mould remediation - they were simply an off-shoot of flood and fire restoration companies. ENTER THE MOULD AND ASBESTOS SPECIALIST. David's mindset was that something harmful should not be used to kill something that was already harmful. Furthermore, customers shouldn't be required to leave their home or business for extended periods of time while the work was being done. So, he set out to find a better way, and began developing a product without chemicals. After much research and mixing recipes with a biochemist, they were able to come up with a liquid product that was totally chemical free and ecologically friendly. More importantly, it was 99.99% effective in the treatment of all the different types of mould. AND THE ENVIRO DOCTORS WERE BORN! As a result of that discovery, David launched 'The Mould Doctor's' in 2014. In due course, he developed a growing list of satisfied customers. People who had previously been accustomed to waking up congested, tired and lethargic, were now getting a good night’s sleep. Result after result, coupled with ongoing lab testing, proved that this environmentally-friendly, non-toxic solution worked. EXPANDING THE ENVIRO DOCTORS FOOTPRINT. After a number of years, the company became aware of yet another health threat that was present in many older buildings: Asbestos. Using David's rule of "research-first", they discovered that the abatement process was highly-specialized and dangerous, with very few experts in the field. So the next step was to get the proper training and hire individuals with some experience to become a part of their team. THE ENVIRO DOCTOR IS IN. Today, asbestos-testing and asbestos-related contracts are a large part of the company's business. So much so, that another re-branding of the company took place in May of 2018, when The Enviro Doctors was born. AIR MILES ® - https://www.airmiles.ca/ - We are proud to offer AIR MILES® Reward Miles to all of our customers. Visit us often and watch for special promotions throughout the year! BBB - (Better Business Bureau) - https://www.bbb.org/ca/mb/winnipeg/ - We are a BBB accredited business - A Rating . We are a business that people can put their faith and trust in. CSAM - (Construction Safety Association of Manitoba) - http://www.constructionsafety.ca/ - As members, we have access to resources and training to help us maintain a safe workplace environment. Manitoba Hydro Energy Efficiency Programs - https://www.hydro.mb.ca/ - Ask us about financing options available through Manitoba Hydro. PPMA - Professional Property Managers Association - https://www.ppmamanitoba.com/ - Building owners and managers can rely on our experience and excellent credentials to ensure their projects are completed professionally, on time and on budget. WCB - (Workers Compensation Board of Manitoba) - https://www.wcb.mb.ca/ - We are a member in good standing. We take the health and well being of our employees very seriously, therefore providing insurance coverage for them through the WCB. Winnipeg Realtors - https://www.winnipegrealtors.ca/ - We are a proud business partner, providing the association, as well as home buyers and sellers with the latest information and expertise in our industry. THE ENVIRO DOCTORS ARE HERE FOR YOU! Whether you simply need more information, or you have an emergency situation, our twenty-four hour response centre is at your service. JOBS IN WINNIPEG – NOW HIRING! CLICK HERE. ®™ Trademarks of AM Royalties Limited Partnership used under license by LoyaltyOne, Co. and Nanobility Inc. o/a Enviro Doctors.